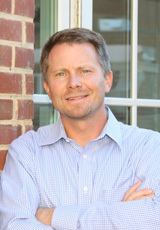 UNC sports medicine researcher Kevin Guskiewicz, one of the country’s leading experts on concussions, has been named a 2011 MacArthur Fellow. The John D. and Catherine T. MacArthur Foundation of Chicago awarded Guskiewicz a MacArthur Fellowship, sometimes called “genius grants.” The unrestricted award given to talented individuals who have shown extraordinary originality, creativity and the potential to make important future contributions. The fellows, nominated anonymously by leaders in their respective fields, each receive $500,000 in “no strings attached” support over the next five years. Guskiewicz, one of 22 new MacArthur Fellows, is a Kenan Distinguished Professor and chair of UNC’s department of exercise and sport science. He also is co-director of the Matthew Gfeller Sport-Related Traumatic Brain Injury Research Center and research director for the Center for the Study of Retired Athletes. In 2010, he was named to the NCAA’s concussion committee and the NFL’s head, neck and spine committee. Guskiewicz helped write concussion guidelines that are now recommended by the National Collegiate Athletic Association, the National Football League, the National Athletic Trainers’ Association and the American College of Sports Medicine. With retired NFL players, he has documented a disturbingly high correlation between those who have suffered multiple concussions in their careers and the early onset of neurodegenerative changes like depression and dementia following retirement from sport. “We have an amazing interdisciplinary research team at UNC, and the MacArthur Fellowship will help us to expand our work into developing injury prevention strategies and rehabilitation protocols for concussion that can help to preserve sports as we know it today,” Guskiewicz said. He first became concerned about concussions when he was an athletic trainer with the Pittsburgh Steelers in the early 1990s. Although he has a passion for his work, Guskiewicz said he is not seeking to fundamentally change football or other contact sports. Born of Tragedy, A Pioneer for Players: How sports medicine has evolved at Carolina. From the November/December 2005 issue of the Carolina Alumni Review, available online to GAA members. The Dark Aftermath of Glory: Retired athletes often limp off the field. Kevin Guskiewicz is trying to help — and maybe change the way active players are treated. From the May/June 2004 issue of the Carolina Alumni Review, available online to GAA members. Making Sports Safer: With the intent of taking the guesswork out of deciding when athletes with head injuries can safely resume playing, then-assistant professor Kevin Guskiewicz received an $84,000, two-year grant to study the effects of mild head injuries on athletes’ balance and mental functions such as attention span, memory and concentration. From the November/December 1996 issue of the Carolina Alumni Review, available online to GAA members.